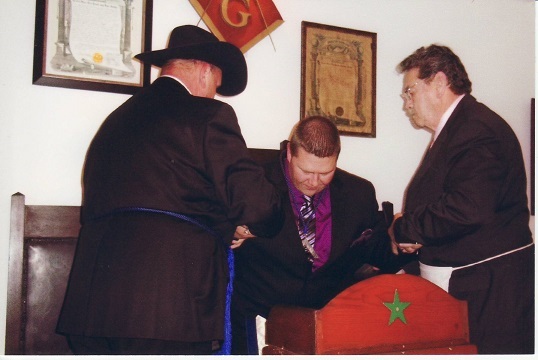 Brother Buddy Wallace, P.M., Installing Marshall, places Master-Elect Jason L. Wallace at the altar as a Master Mason. Master Jason L. Wallace is seated in the Oriental Chair. 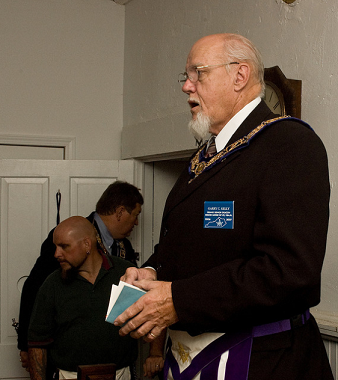 Newly installed Master Jason L. Wallace with Brother Bobby Engle, P.M., of Burlington Lodge No. 264. 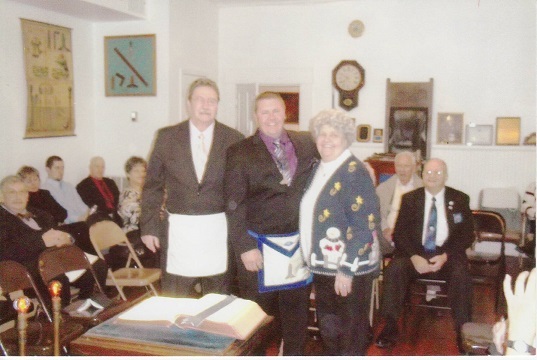 Newly installed Master Jason L. Wallace with his parents, Brother Buddy Wallace, P.M., and Janice Wallace. 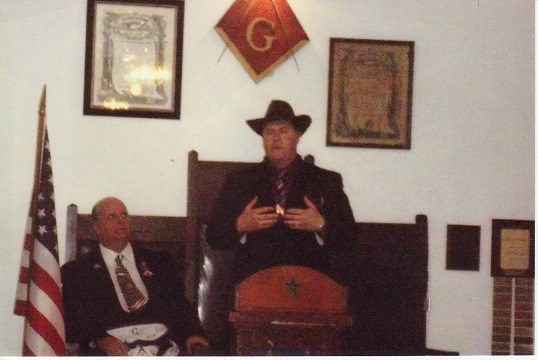 Master Jason L. Wallace addresses the Lodge. 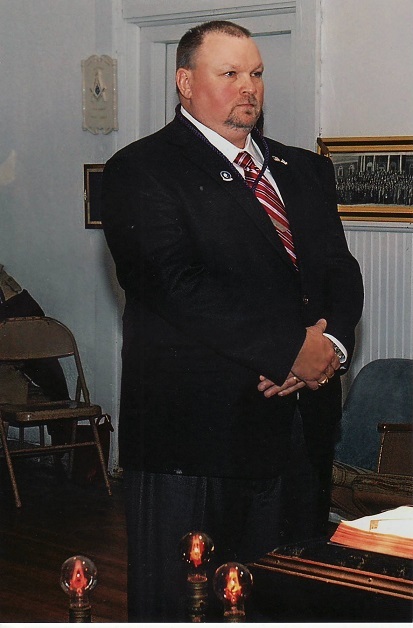 On September 8, 2007, Petersburg Lodge No. 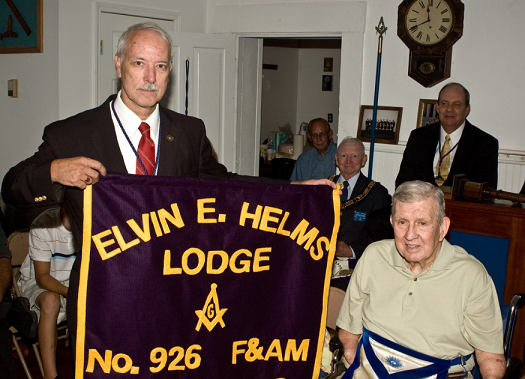 926, F. & A. M. was re-named and re-chartered as Elvin E. Helms Lodge No. 926, F. & A. M. Photos are courtesy of Brother Nelson Charette. 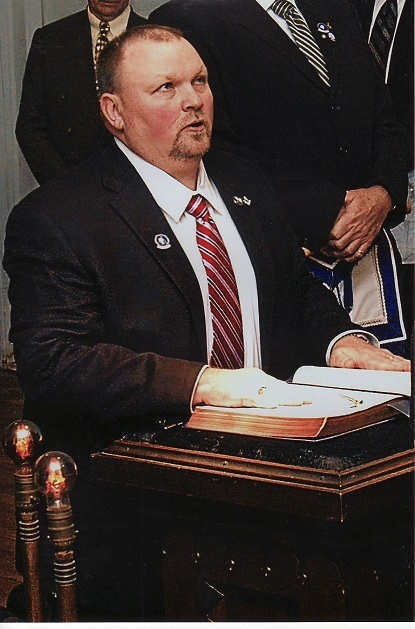 Worshipful Master Ron Schroeder welcomes the assembled guests to the re-naming and re-chartering of Elvin E. Helms Lodge No. 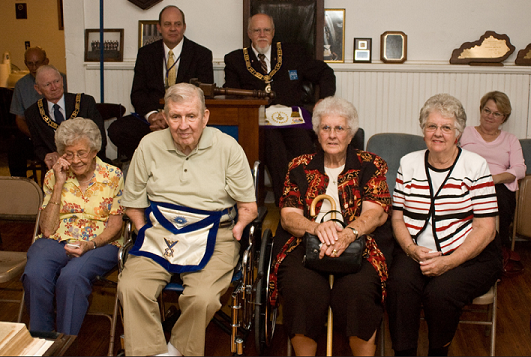 926, F. & A. M.
Children of Elvin E. Helms, Sr., left to right, Ms. Patricia Hogan, Bro. Elvin E. Helms, Jr., Ms. Marilyn Peters and Ms. Nell Jo Tanner. 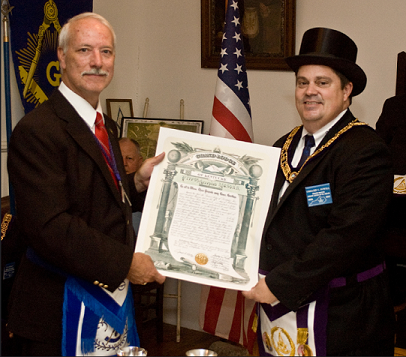 Worshipful Master Ron Schroeder accepts the Lodge’s new charter from Most Worshipful Grand Master Greg Powell. 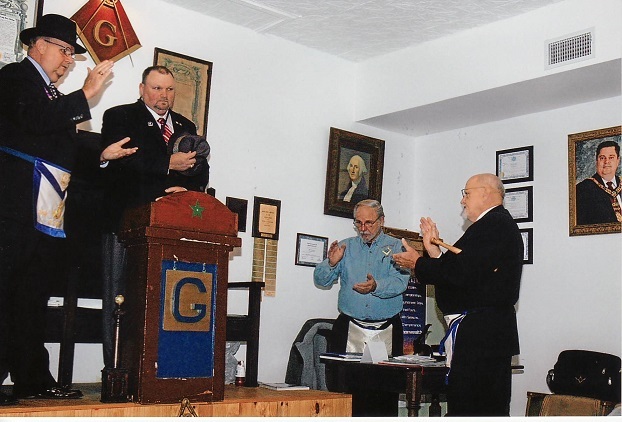 Worshipful Master Ron Schroeder unfurls the Lodge’s new banner and Bro. 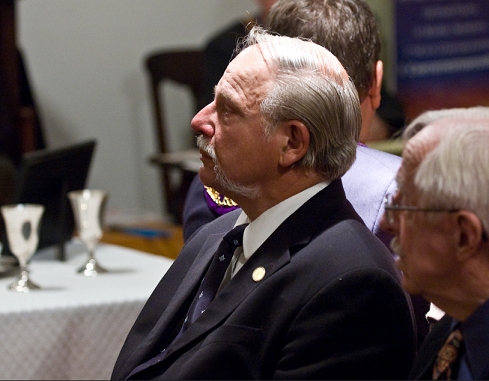 Elvin E. Helms, Jr. looks on. 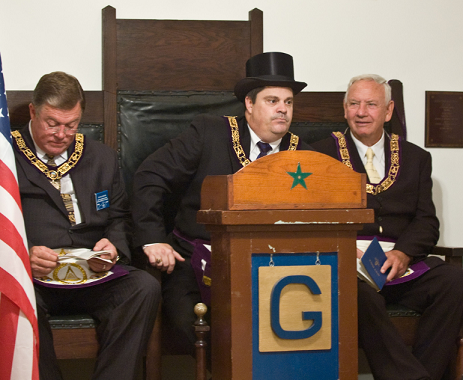 Worshipful Deputy Grand Master Keith Dreier, Most Worshipful Grand Master Greg Powell and Right Worshipful Grand Chaplain Mel Kinser conduct the proceedings. Bro. 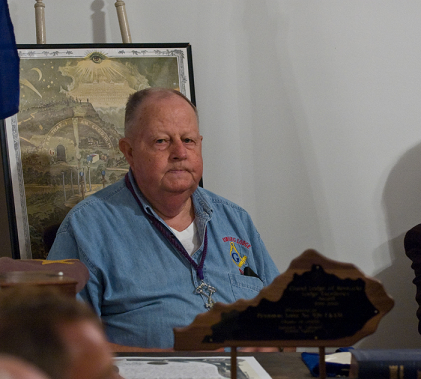 Al Collier at his station as Treasurer of the Lodge. Bro. Ed Tanner observes the proceedings. 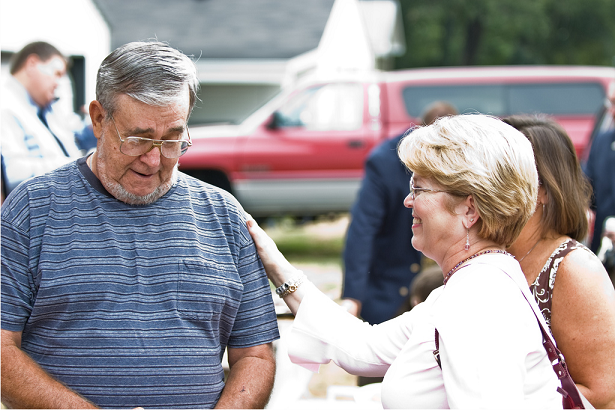 Worshipful Grand Senior Deacon Garry Kelly. Bro. 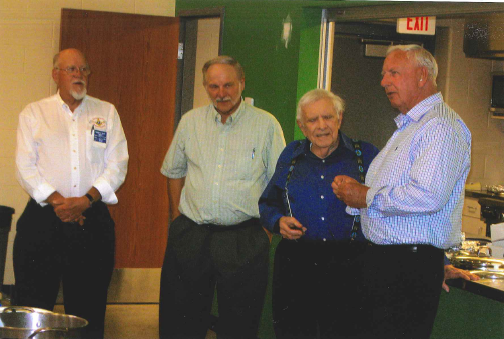 Kirby Smith visits with guests of the Lodge. Bro. 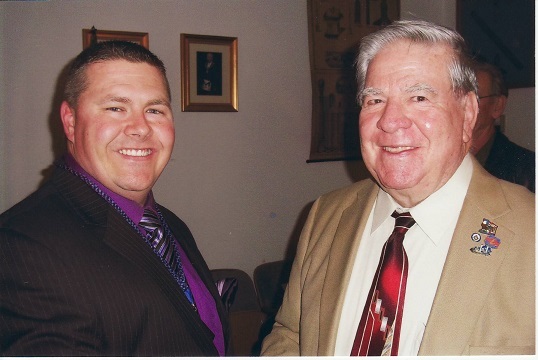 Rick Campbell and Bro. 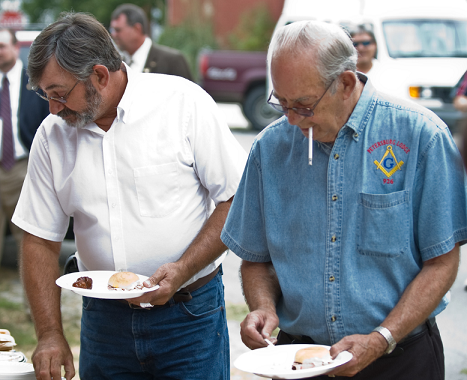 George Bowman enjoy some of the good food provided by the Lodge. 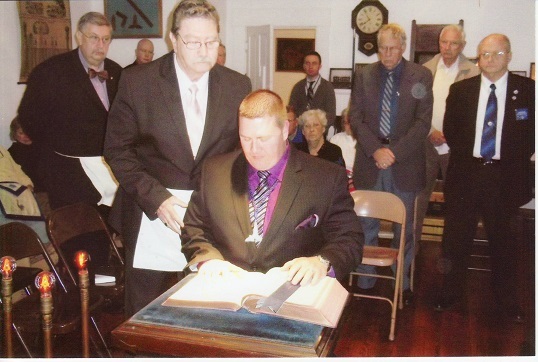 Most Worshipful Grand Master Brother Gregory C. Powell, P.M., Installing Master, installs the officers at his home Lodge, Petersburg No. 926. 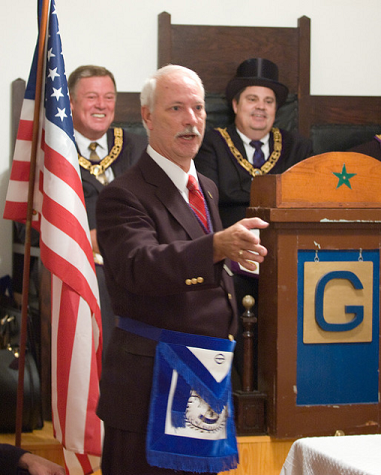 Grand Senior Deacon, Brother Garry C. Kelly was Installing Marshall. 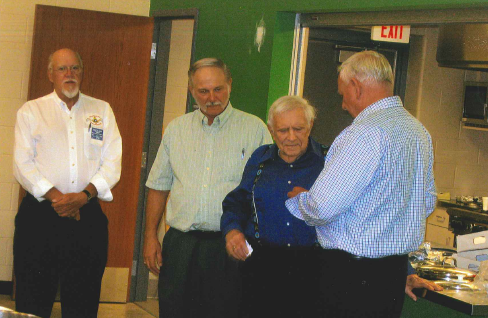 Right Reverend Grand Chaplain Robert Melvin Kinser, P.M., was Installing Chaplain. 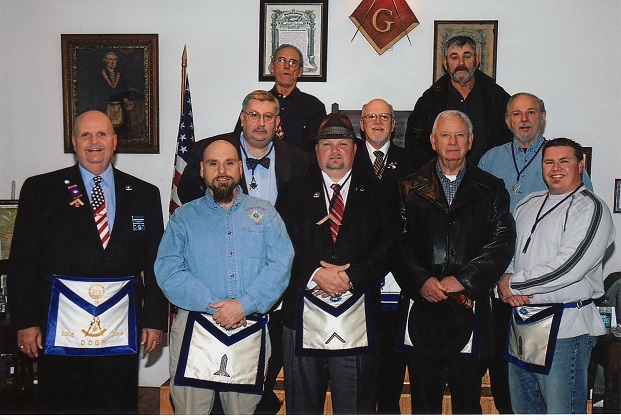 First row: Randy Ward, Junior Warden; Garry C. Kelly, Junior Deacon; Most Worshipful Grand Master Gregory C. Powell, P.M. and Installing Master; Ronald S. Schroeder, Master; Michael H. Howard, Senior Warden; Kirby T. Smith, P.M., Senior Steward. 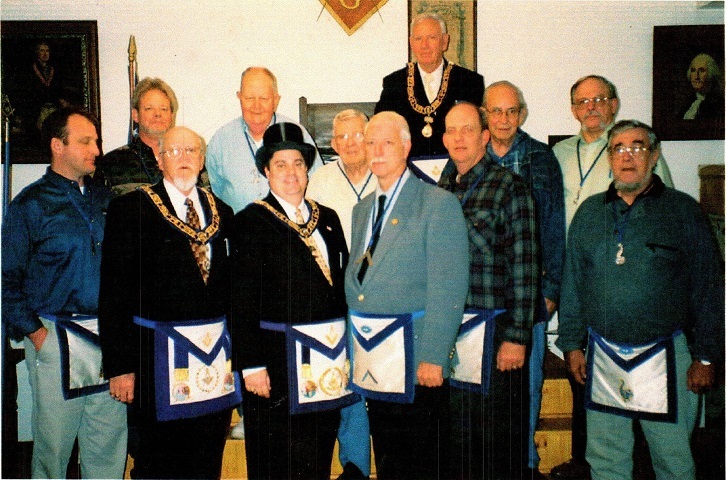 Second row: John R. Richardson, Senior Deacon; Albert L. Collier, P.M., Treasurer; Elvin E. Helms Jr, P.M., Secretary; George Bowman, Tyler; Edward M. Tanner, P.M., Junior Steward.